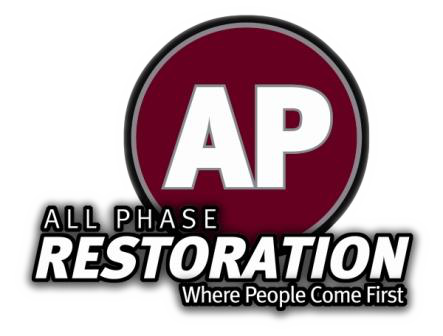 Property damage restoration company All Phase Restoration is fully equipped to help those affected by the worst of last month’s devastating flooding in Colorado return a semblance of normalcy to their lives and their property. Windsor, CO – October 9, 2013 – In the wake of a natural disaster, it can be difficult to figure out what the next course of action should be. Thankfully, All Phase Restoration is offering their expertise to flood victims in the wake of Colorado’s recent devastating floods. Specializing in emergency restoration and reconstruction, All Phase Restoration is extending its services to those whose homes are in desperate need of water damage restoration services. After the rash of flooding that ravaged Colorado in last month’s disastrous weather, the time has never been more apt for All Phase Restoration to get to work applying their skills to homes that have been hit. While the extent of damage and flooding was unforeseen, many were woefully unprepared for the onslaught of gushing water that would plunder their areas. Now with the water settling and dissipating, many are returning to homes and businesses that are otherwise unrecognizable. In moments such as these, All Phase Restoration is prepared to offer its capable and dependable water damage restoration service. Flood restoration involves more than just water extraction, and All Phase Restoration has established a way to help those affected by the worst of damage with a way of regaining their lives. The family owned and operated business understands various concerns that can arise after a flood, and their knowledge and know-how will be invaluable for families and business owners in the wake of the inclement weather. Their four-step process rids homes of water, dirt, and even sewage that can be carried in, then disinfects for the sake of safety and also to prevent the growth of mold and/or fungus. Additionally, while no one can say for certain whether or not the worst of the flooding is over, it’s important to note that, as winter approaches, Colorado weather may worsen yet again. So for those in the areas of Loveland, Fort Collins, and Greeley, there are services available to help prevent further damage from occurring prior to the onset of winter. All Phase Restoration was borne of a desire to help people get their lives back to normal after water damage. Brothers Bob and Jeff Mauck founded the company in 2003 as an effort to utilize their collective knowledge of water and emergency restoration for the benefit of those who they knew needed it most. The company’s focus isn’t just on the buildings and homes they restore, but also on helping homeowners and business owners get back to normal. All Phase Restoration has spent over a decade offering reconstruction and restoration services to Windsor, Colorado and the surrounding areas. The company was founded with a focus on helping people, not just property. With three locations in Windsor, Frederick, and Englewood, All Phase Restoration is prepared for emergencies across the state.